Salary: The wage for this position is between $19.85 and $22.05 per hour, depending on experience, working up to 40 hours per week. 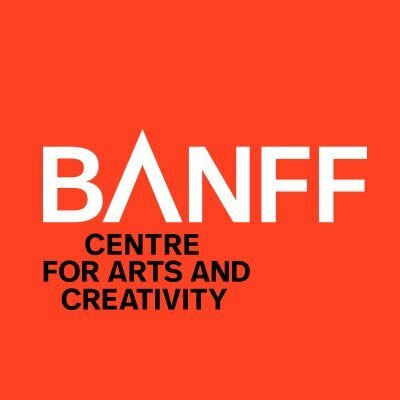 Banff Centre for Arts and Creativity is more than just a great place to work – we are one of Canada’s most unique employers. As the largest postgraduate arts and leadership school in the country, our campus is alive with artists, leaders, and thinkers from around the world. From Sales to Customer Services, Marketing to Finance, Front-of-house to behind-the-scenes, be part of something truly world class while fulfilling your career goals. Production Coordinator, Performing Arts for a term ending March 31, 2020. The Production Coordinator, Performing Arts provides production coordination support for performing arts events, concerts, music recordings, theatre presentations and performances, presenting events, conferences, and festivals stemming from all departments across Banff Centre and external clients. The Production Coordinator is responsible for ensuring that the production elements required for successful delivery are organized ahead of time, and that the operational and logistical production requirements meet the expectations of the faculty, participants, and project and production leads. Assists in creating, updating and distributing production schedules including crew schedules, rehearsal schedules, post mortems, mainstage activities, production rentals, and other events. Prepares weekly and/or daily productions schedules, resource request forms, production call sheets, weekly planning spreadsheets and reports. 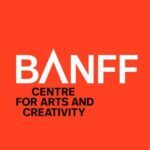 Negotiates and schedules resource support for all projects with participants and with other Banff Centre departments. Identifies, organizes and implements logistical requirements related to production needs. Oversees production resource requests during productions and coordinates production needs between participants, faculty, and staff. Books space and equipment as required. Attends technical, dress rehearsals and troubleshoots on-site production challenges as required. Maintains files on each program with all relevant production information. Assists with compiling documentation and materials required for proposals and/or reports and in preparing production contracts and agreements. Researches and develops required information for production budgets. Monitors project/production purchases budgets; and tracks expenditures through approved tracking systems. Acts as key liaison with all participants, faculty; and facilitates communication with other Banff Centre departments. Liaises with clients, participants and production/technical crew during load in, tech, rehearsal, performance and load outs. Communicates on a regular basis with the main contacts on programs both internally and externally and provide follow up on production commitments and schedules. Diploma/degree in Performing Arts / Arts Production or a related field. 5+ years’ experience of production knowledge of theatere event activities. 5+ years of experience working in a performing arts capacity, preferably in a post-secondary or client services environment. Experience in scheduling arts technical/production-based projects. Production coordination and/or stage management experience within a professional performing arts or entertainment venue. Reliable and self-motivated with the ability to work under broad direction without close supervision. Strong attention to detail with strong administrative and effective communication skills. Proven organizational expertise and ability to successfully manage multiple tasks and projects simultaneously. Customer-centric approach, which results in exceptional customer service delivery. Proficient with Microsoft Office suite of products with advanced Excel skills. Adept at new technologies, and familiar with scheduling software programs and databases. Due to the nature of the work, the Production Coordinator will be expected to be available to work evenings and weekends.